Those of you that read TBB will know that I'm not afraid to criticise products and be brutally honest. Therefore when I say that I am blown away by the following Lord & Berry products, that really means something. 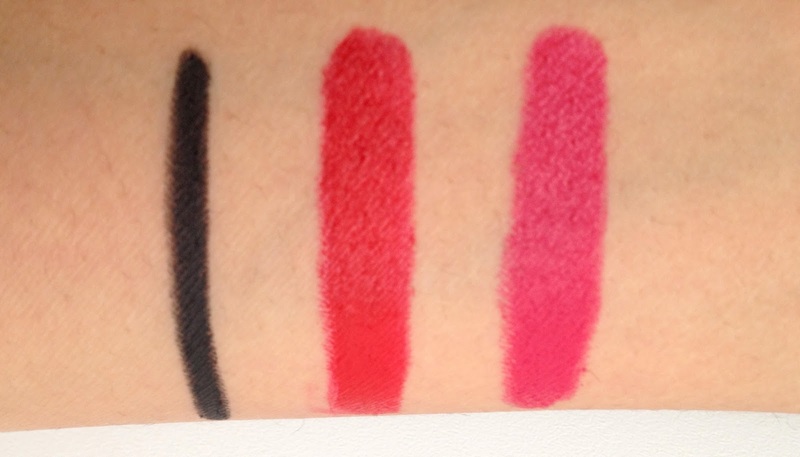 I tried two of the 20100 Crayon Lipsticks in the colours Cherry and Scarlett. Cherry is a beautiful rich raspberry colour, and Scarlett is a true red. I cannot express in words how fantastic these are. They are uber pigmented; after applying just one coat you are left with an even and perfect pout. They're also both a matte finish but still very creamy on the lips and not drying at all. They last all day long, although I do tend to touch up once or twice in the day after meals. It's a great handbag product as it's so sleek. I also find these easier to use than lipsticks since the application is much more precise, and you can use the tip to get a really precise line around the edges of the lips. I personally feel that you don't need to use a lip pencil with these, because they're so pigmented, long-lasting and don't bleed around the edges. I will most certainly be purchasing more of these! 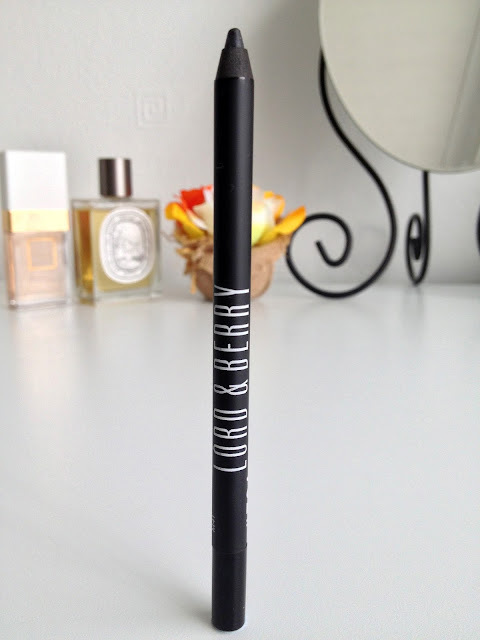 This smudgeproof eyeliner in the colour In The Black is by far the best eyeliner pencil I have ever tried. It is very creamy but at the same time a very dark carbon black. It glides onto the lids and is blendable within 30 seconds, before it sets and stays put until removed with makeup remover. When I swatched it on my arm below, it actually took me a very long time to take it off; I had to use soap and Bioderma! Lord & Berry claim this eyeliner lasts for 24 hours, and I completely and utterly believe them when they say that. 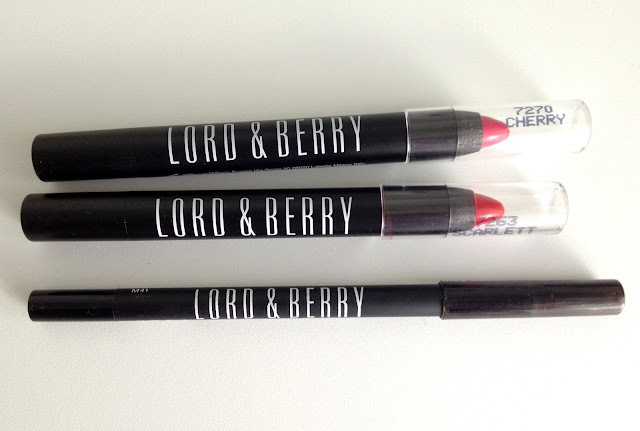 Lord & Berry is a brand that I hadn't previously heard much about, but boy am I impressed! I'd highly recommend all of these products, and they're pretty reasonably priced too! For instance, the 20100 Crayon Lipsticks are less than half the price of their Nars counterpart, and in my opinion theses ones are better! The only thing I would change about the lip crayons in particular, is that instead of having to sharpen them, they'd be twist-ups! The Lord & Berry range is available online from ASOS and Look Fantastic, or in store at your local Sally's. Have you tried anything from Lord & Berry?